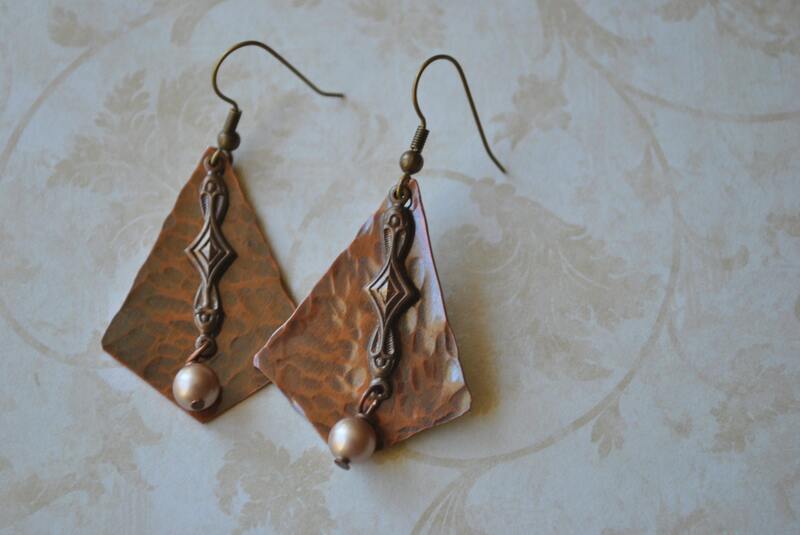 Rustic mixed metal earrings are handcrafted from, brass accents with champagne colored pearls and copper sheet metal. They are hammered for texture and the copper is oxidized.They have been tumbled for polish. 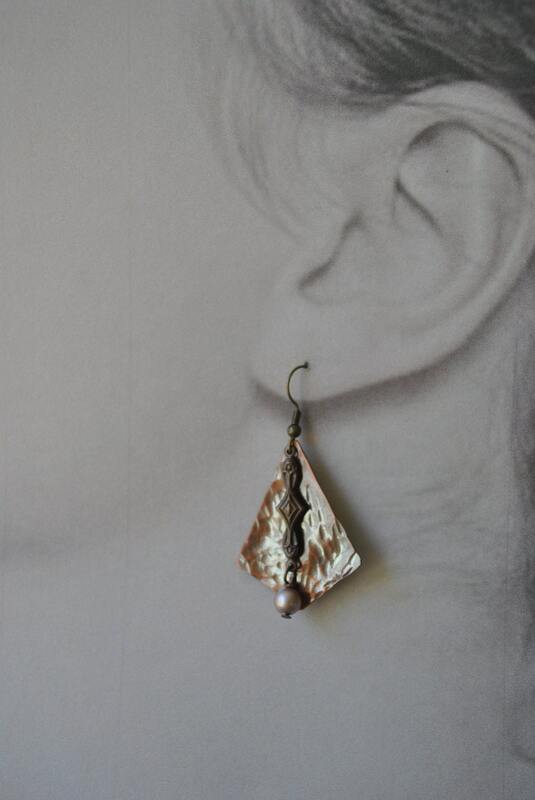 Brass ear wires. 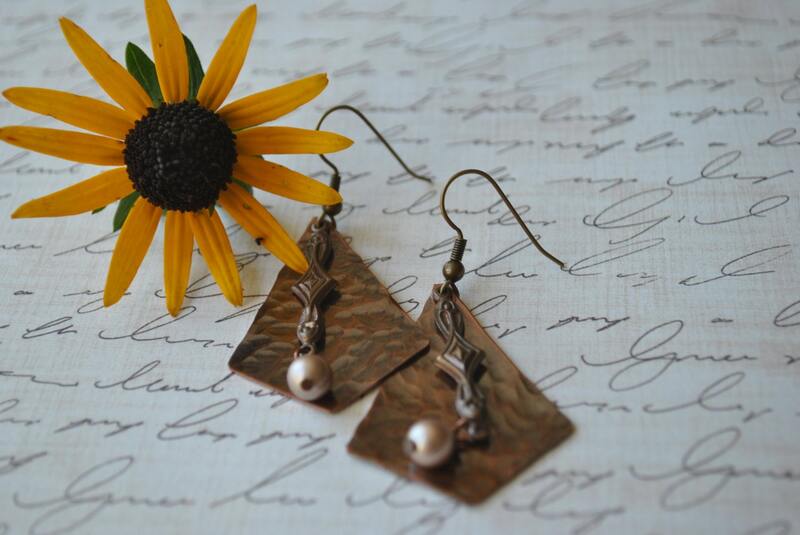 Indulge someone with these earthy, organic earrings!